Here is the first of nine features on the designs included in Home & Away: Knits for Everyday Adventures, my new book which opened for pre-orders yesterday! Let's start with Georgetown! This cardigan is named after Georgetown, ME, where all the photos were taken. 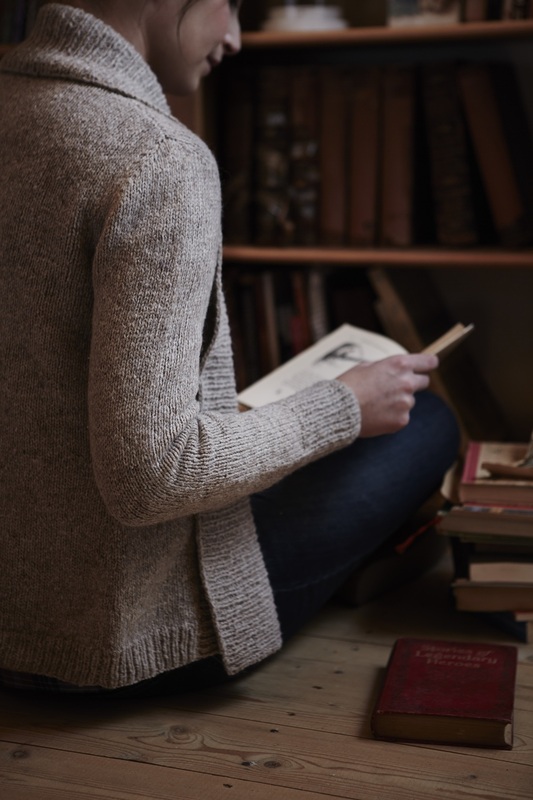 If it seems familiar, it's a worsted weight, waist length version of the Autumnal Cardigan. Some knitters on Ravelry are already commenting that it's the perfect cardigan! Georgetown is both effortless and tailored, with a comfortable open fit and wide, folded-over collar. 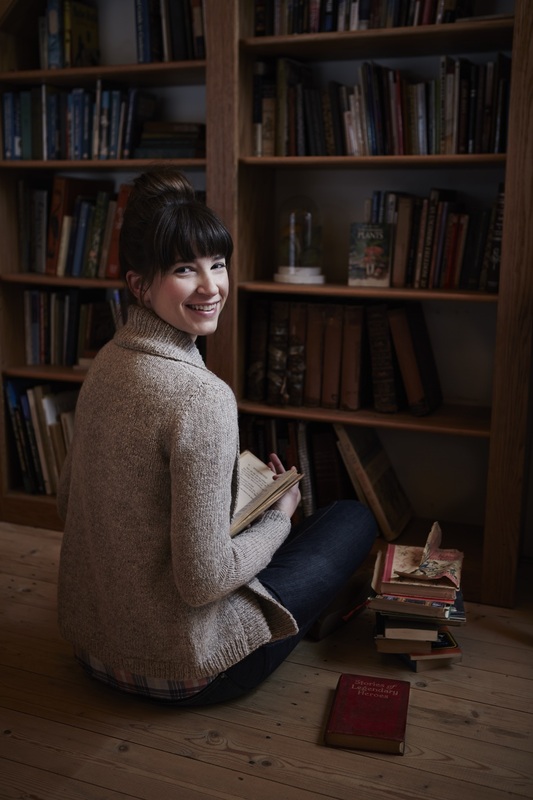 Knitted in a cozy wool / alpaca woolen spun yarn, you will want to curl up in your nook with a favorite book. The pictured sweater was knitted flat in pieces. In the first set of instructions the body, fronts, and sleeves are worked separately and seamed together. If you prefer seamless knitting, instructions follow for a mostly seamless cardigan. In this version the back and sides are knit simultaneously from the bottom up. Divide for armholes, knit the fronts and back separately, and seam the shoulders. The sleeves are then knitted from the top down using short rows. In both versions, the collar is picked up and knitted last. The second half of the collar is knitted on larger needles to aid it in folding over. I've started a thread in the Home & Away Ravelry group to discuss seamed vs. seamless knits. What's your preference and why? Join the discussion! Shown in size 34.5" / 87.5 cm with 2" / 5 cm of positive ease. • 32" / 80 cm circular needle Or size needed to obtain gauge.